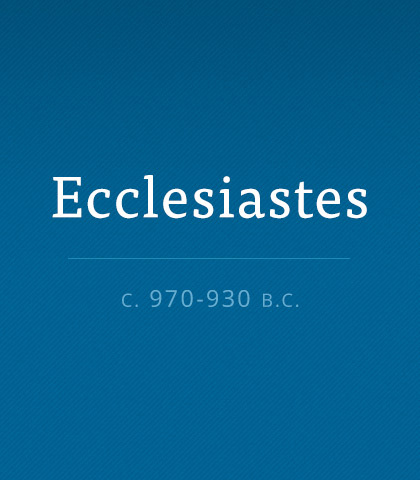 Ecclesiastes presents us a naturalistic vision of life but ultimately recognizes the rule and reign of God in the world. Read more about the book of Ecclesiastes. When we come into the Lord's presence to worship Him, what's to be remembered? How how are we to think and respond? Solomon comes to some conclusions about financial frustrations worth hearing and heeding. But beware! This is not your typical “think and grow rich” advice.